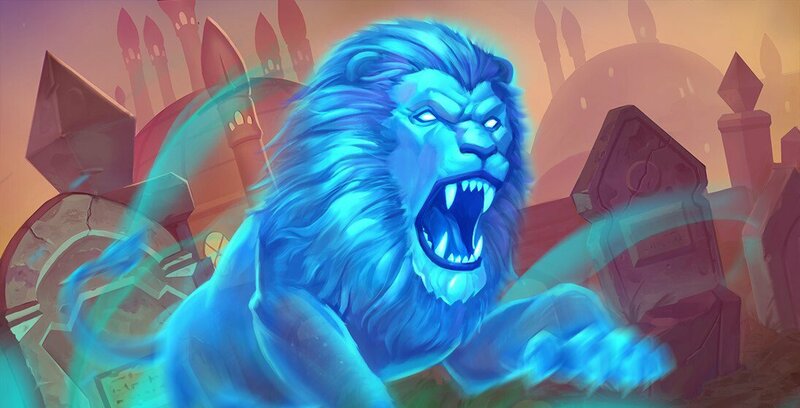 The Hearthstone Brawliseum is a little hairier this time around, because of the start of a new Standard year. But Shacknews is here to help with five deck ideas. Hearthstone's newest expansion, Rise of Shadows, and its new Standard year are just one day. 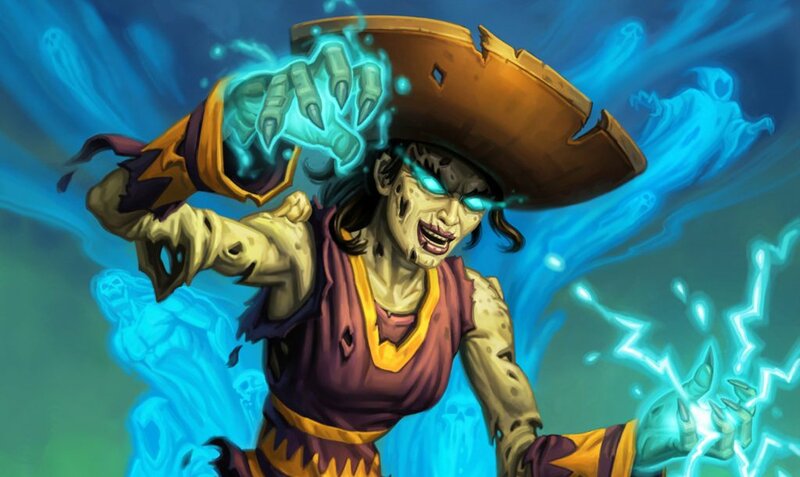 Much of the Hearthstone community has spent the first day learning the ropes and trying out some fun decks. It's been a day of learning. But the time for fun and learning has ended! 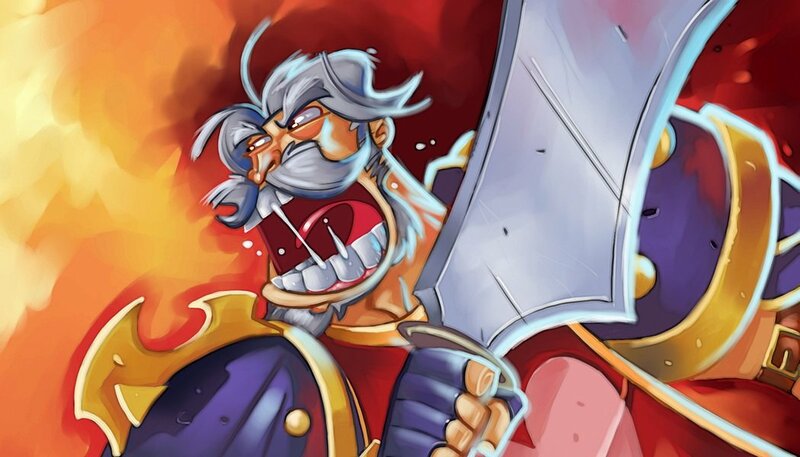 Now it's time to get serious, with Blizzard kicking off the latest Standard Brawliseum. In lieu of the normal weekly Tavern Brawl, players will find a constructed version of the traditional Arena format. That means assembling your best deck and taking it into battle. Get up to 12 wins and walk away a winner or lose three times and just walk away, period. The Arena format means there are serious prizes on the line, including card packs, Gold, and Mana. On Tuesday, we offered five fun new deck ideas for the new Standard year. A lot of that will be thrown out the window here, because Shacknews wants to help you win! With that said, because the first Brawliseum run is free of charge, Shacknews wants to help you, the reader, make this outing worthwhile. Here are some of the best decks to help you on your road to 12 wins. "Is Murloc Shaman good?" muses DisguisedToast. "The answer is no." Lies! 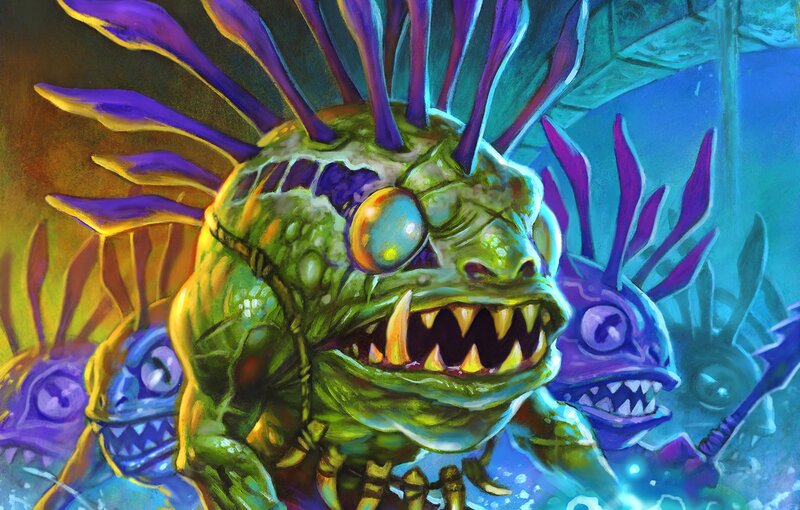 Murloc Shaman is the hotness so far in these first few days of the meta. And Toast has a pretty good Murloc Shaman deck himself. It's a bit of a different look, taking advantage of a few Overload spells to offer some valuable removal options, while simultaneously making good use of Thunderhead. It also relies on only one Bloodlust as a finisher. 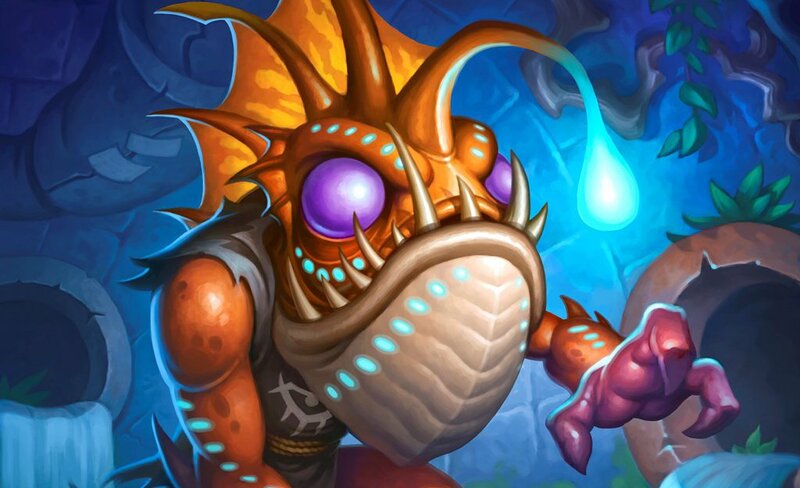 What makes the Murloc Shaman such a strong aggro deck is the Underbelly Angler, which offers new Murlocs for every one played. The thing about this card is that the Murloc pool is more shallow than it looks, so there's a good chance that this will often generated additional Underbelly Anglers, meaning your Murloc train will never stop rolling. Take these Murlocs and Aaaaaughibbrgubugbugrguburgle your way to 12 wins. Be sure to follow DisguisedToast on Twitch. There have been a lot of different variations of the Bomb Warrior, but Octavian "Kripparrian" Morosan's might be among the standouts. That's because Kripp forgoes midrange bomb suppliers like Seaforium Bomber and instead opts for some additional control tools, like Slam and Rabid Worgen. Augmented Elekk ensures you'll still get plenty of boom for your buck, while also getting a handy early 3/4 minion on the board. Keep the board under control and you should have an easy path to 12 wins. 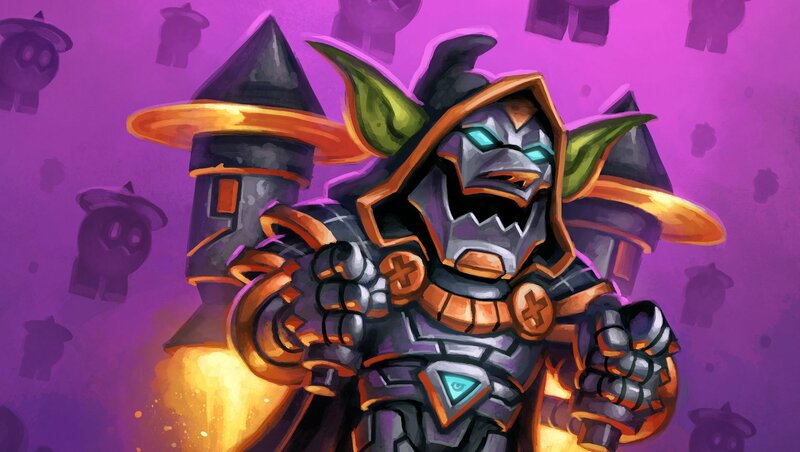 Even if your bombs don't go off, Dr. Boom, Mad Genius should have enough steam to carry you through to the finish line. James "Firebat" Kostesich has gone full mech with his latest Hunter deck. This takes advantage of the multitude of Mech Deathrattles, which play nicely with the new Nine Lives spell. Nine Lives is a nice versatile tool that allows Hunter players to either double down on aggro by copying something like Mechanical Whelp or go defensive by making a wall out of the new Safeguard. It should be noted that because this deck packs a number of Magnetic minions, the Safegaurd's 0/5 Vault Safe can easily be upgraded. Unleash the Beast is another valuable control tool and one that's going to make Zul'jin a safer 10-Mana play. Paul "Zalae" Nemeth is loving the Resurrect Priest archetype and the reason for that is that there are a lot of viable big body Taunt minions that can be brought back to life. If Catrina Muerte or Mass Resurrection can bring back Witchwood Grizzly or Damaged Stegotron, it's a daunting wall to get through. And if those threats aren't dealt with, then Divine Spirit and Inner Fire can finish. Now it should be noted that Zalae has experimented with Archmage Vargoth, so if you can find a spot for him in this deck, go for it. Either way, this is a solidly constructed deck that should do well in the Brawliseum. While most Rogue decks are getting cute with thievery, Dima "Rdu" Radu is getting right to the point with this strong tempo compilation. The idea here is to start slow, but finish big with the aid of Waggle Pick, Leeroy Jenkins, and a combination of cards picked up from Blink Fox and Hench-Clan Burglar. It's a deck that has just enough control tools to hang around the early game, with enough to finish around the middle turns. But don't hesitate to finish off your opponent, because this deck doesn't have a lot to hang around in the later turns. How's your Brawliseum run going? Have you used any of the above decks? Have you said "Nuts to this" and just used Whizbang the Wonderful? Join the conversation and let us know how you're doing in the comments. The Hearthstone Rise of Shadows Standard Brawliseum ends this Sunday. I wish you'd also include a copy this link so I could copy the deck from shacknews and throw it into my game.